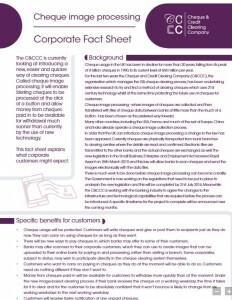 We are pleased to offer this latest information on cheque image processing (‘Facts for Corporates’) from the Cheque & Credit Clearing Company (C&CCC). The C&CCC, whose main purpose is to provide consumers, via financial institutions, with the central payment system services for the exchange and settlement of cheques and credits and manage the operational processes of those services. 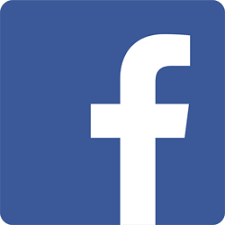 The C&CCC is currently looking at the future of cheque image processing and has produced this information to support activity in this area. This fact sheet explains what corporate customers might expect. Checkprint, part of the TALL Group of Companies, the UK leader in the provision of secure print and payment solutions, has secured a contract to provide more than a thousand UV cheque scanners to Allied Irish Banks plc. This financial institution will deploy these scanners at its branches across the Republic of Ireland, Northern Ireland and mainland UK. The Digital Check Corporation (DCC) Tellerscan TS240-50 IJ UV incorporates an ultraviolet (UV) image capture function that provides the potential to expose counterfeit or fraudulently altered items. In addition, the ergonomically designed model delivers fast, quiet, multi-feed scanning and is also energy efficient. By using the TS240-50, the full image and data file is captured for archiving and onward transmission, enabling the issuing bank, the deposit account, sort code and serial number – together with the date, time and location of the transaction – all to be easily identified, creating a clear and concise audit trail. As a result AIB will be ‘image-ready’ when cheque truncation, a feature of the Future Clearing Model (FCM) is implemented, scheduled for July 2016 in the UK. AIB ordered the scanners from Checkprint as a part of its programme to update ageing hardware across the organisation. The DCC TS240-50 was chosen due to its ability to seamlessly integrate with AIB’s internal systems and teller software. One of a line of cheque scanners from Digital Check Corporation, the flexibility of the API enabled full integration to AIB’s core banking environment. The TALL Group of Companies, a leading provider of secure electronic and paper payments solutions, has appointed Lynton Buxton as Marketing Manager. This key recruitment move will see The TALL Group further its marketing drive in the rapidly changing UK payments marketplace, and support its growth into international markets. Lynton, who has a Marketing Engineering degree from the University of Huddersfield and a Masters from Cranfield Institute of Technology, joins TALL from Burtonwood Generator & Switchgear Services Limited where he worked as a Marketing Manager for five years. This appointment follows a successful marketing career stretching over 20 years. Lynton will be responsible for all marketing and communications throughout the TALL Group’s businesses. Lynton, who lives near Wigan, is a family man and enjoys singing in various choirs. Originally from Buxton, Derbyshire, Lynton will now be based at TALL Group’s office in Runcorn, Cheshire.